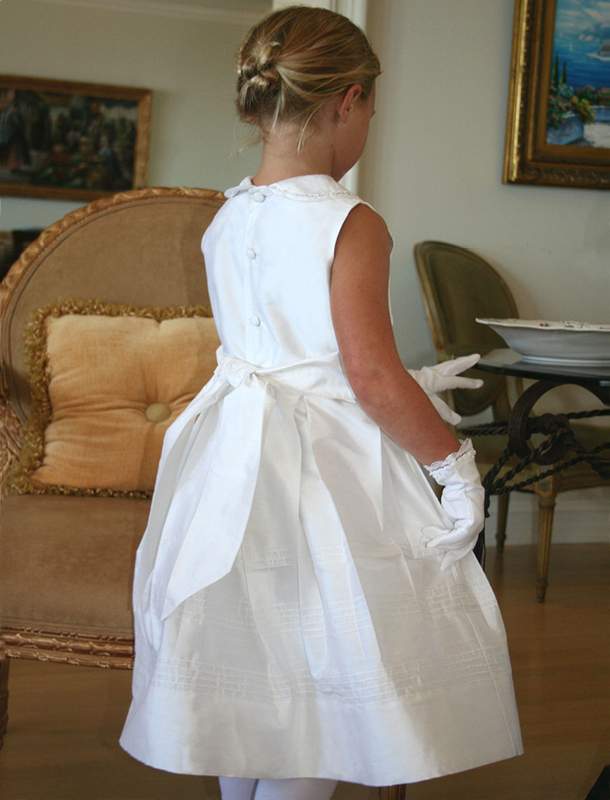 Pleated and tucked silk girls dress with ornate peter pan collar and sash. 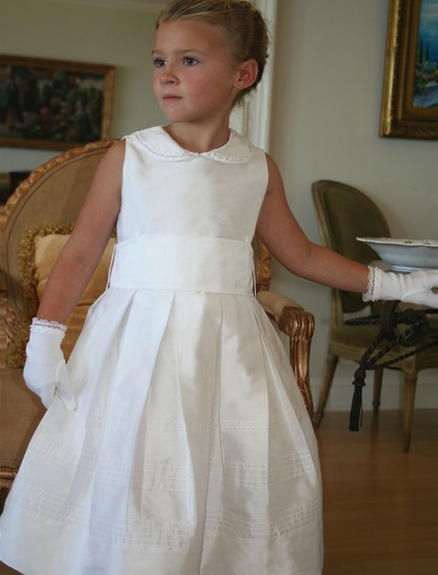 White or Ivory Silk Dress, custom colors available Matching Silk Sash Cap or Short sleeve options Unique hand embroidery and pearl detailing at collar Peter pan collar Box pleats Covered buttons Pintuck skirt and hem detail Dress falls mid-calf Matching diaper cover for infant sizes Perfect for wedding flower girls, communion dress, birthday dress, and cotillion dress Dress can be customized. Custom cuts, additional length, color matching to bridal party, etc. Contact us for additional details.